Smith Mountain Lake, referred to by locals as “SML,” is a reservoir boasting more than 500 miles of shoreline in the Roanoke region of Virginia. The lake, which encompasses more than 20,000 acres, is nestled in the beautiful Blue Ridge Mountains in the rural southern part of the state. You may be from Smith Mountain if you love the lake for its character, stunning scenery and its ability to make any day extraordinary. And if the following list seems all too familiar, you are definitely from Smith Mountain Lake. The area is rural but still connected to civilization. Perhaps the best part about living on SML is being able to detach from the world among the mountains, but still getting to enjoy world-class amenities. The area surrounding Smith Mountain Lake has everything you could ever need: supermarkets, plenty of restaurants, banks, marinas, fitness centers and libraries. There are doctors, dentists, attorneys and independent retail stores nearby, as well. What more could you ask for? And with large metropolitan cities close by, like Raleigh or Washington D.C., you know that SML is the best place to be. You know that the beauty of living on the lake is that there is opportunity to both relax AND participate in any outdoor activity of your choosing. Whether you want to spend the day boating, skiing, swimming or fishing, Smith Mountain Lake always provides. 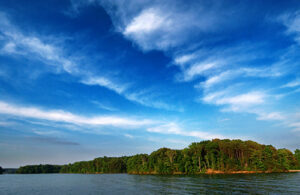 In fact, Bassmaster has rated SML in the top 25 best bass fishing lakes in the United States. If you want to spend your day golfing with your buddies, try your hand on one of the lake’s five championship courses. You know that a day on the lake is whatever you make of it! You eat your fill of America’s best ice cream. Who would’ve thought that the best ice cream in America is located in the Roanoke Valley of Virginia? Well, while this is not a verified fact, you know that locals rave about Homestead Creamery’s ice cream. The specialty frozen treat, as well as local dairy and meat products, are sold in a stand-alone store, a food truck and also by the carton in local general stores and supermarkets. As an SML resident, you love taking visiting friends and family to Homestead to give them a taste of what living in Roanoke is really like! Boats are used more often than cars. One of your favorite parts about living on the lake is that most restaurants can be accessed by boat. What better way to cap off a day at the lake than piling into the boat and docking at Bay Roc Marina Cafe, Blackwater, Heath’s or King’s Point? Live music, lakefront view and amazing food – where you live has it all! Tours on tours on tours. You’ll be the first to admit there are a great many touristy attractions around the lake…but you secretly love them. You even consider them to be a rite of passage to getting to know the area! Aside from traditional lake activities, including great dinner cruises and fishing expeditions, popular off-water options include winery tours, visiting the local alpaca farm and touring the birthplace of Booker T. Washington. Catching a movie, playing miniature golf and spending an evening at Hot Shots or Bridgewater Plaza are also some options you’ll want to consider when making your plans. Interested in living on the “Jewel of the Blue Ridge Mountains?” With 1,295 current listings on Smith Mountain Lake, there is sure to be a home that fits everyone’s needs. Homes on the lake range anywhere from $60,000 to $25 million, so why not find your dream home on one of the most coveted lakes in the region? 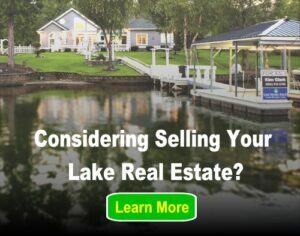 To talk to one of our many lake experts about living your lake dream, visit the Smith Mountain Lake page on lakehomes.com.